Some frogs just enjoy catching flies, some are secret princes and others like to collect fruit while avoiding dangerous crocodiles. In “Lucky Frog” you can challenge yourself by completing the last task. 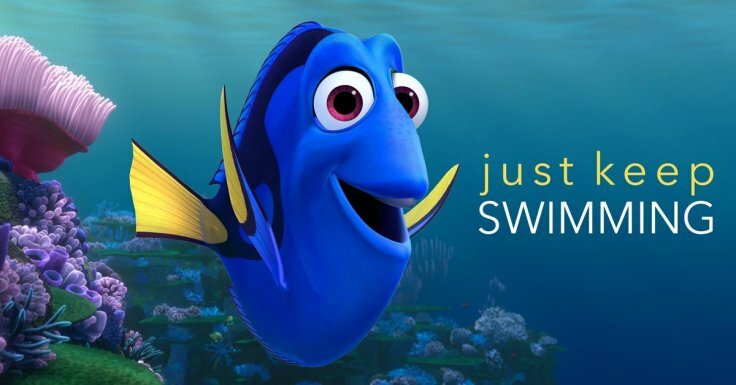 You just need to tap to change the direction, in which you are swimming or to jump. If you want to read more about this new game by “Igbow Games”, keep on cruising. If you like cute characters, you will also enjoy “Lucky frog”. The little hero will keep a smile on his face, no matter how many crocodiles it is facing. 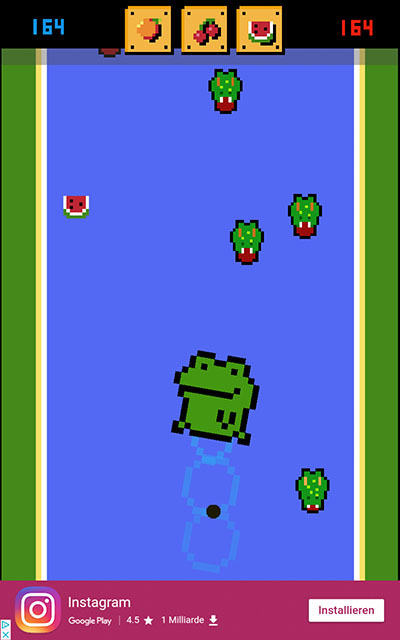 Like “Frogger” you have to jump avoiding danger, but this time you are in the water and can gather some delicious fruit. The controls are very easy to handle since you only need to tap to guide the avatar through the water. 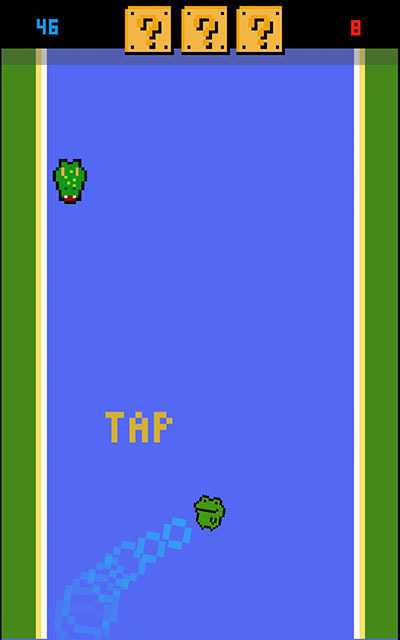 Tapping once changes the direction, tapping twice is jumping. Even though the controls are pretty easy, the game is still challenging. So it won’t get boring trying to get different fruits. Another motivational point is the possibility to unlock more characters. Unfortunately, I didn’t make it so far. But I am sure those characters will be very cute as well. Even though I really enjoyed the game, I thought there were a few things missing. In the menu, you can choose between “Mode 3” and “Mode 4”. What and where are the first two modes? Additionally, it is pretty hard to tell the two existing options apart. I also missed some background music. The game has some sound effects for jumping or collecting fruit, but I think an upbeat background music would add some more fun. For those, who don’t enjoy music, there is already the option to turn off all sound. I could have lived without the ad though or at least preferred another position than on the lower end of the screen. It also seemed to slow down the gameplay when it popped up while tapping. Showing advertisement after each round could maybe solve the issue. “Lucky Frog” is a refreshing, fun tapping game with cute characters. If you feel like giving “Lucky Frog” a try, you can download it here.